Carbondalians take note — your midvalley neighbors are in the process of making a decision that could impact area recreation for years to come. 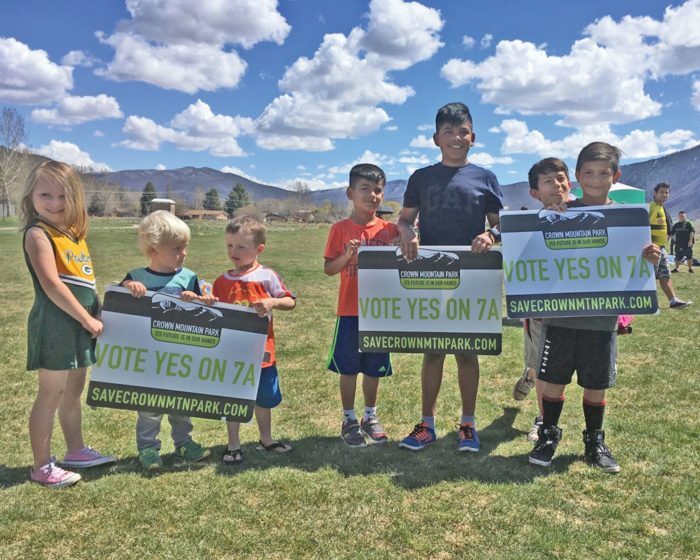 Voters in Crown Mountain Park and Recreation District are being asked to approve a permanent mill levy increase, with more than 1,000 votes already cast in advance of the May 8 deadline. While the district follows library and fire boundaries — encompassing an area from Old Snowmass to Blue Lake — the flagship facility in El Jebel attracts plenty of folks from Carbondale and beyond. The 124-acre facility boasts around 260,000 visits annually and currently relies mostly on $340,000 in annual property tax to cover staff, infrastructure and reserves. “We don’t have the funds or staff to keep up with the amount of use it’s getting,” Wagner said. The park has stepped up its game with user fees, rentals, special events and the like in recent years, but it’s not a sustainable game plan. The proposed levy would more than double the park’s financial resources at the cost of an additional $14 per $100,000 of value for residential homeowners — somewhat offset by a $9 per $100,000 reduction when the bond that built the park is paid off in 2022. In addition to bringing on extra staff, Wagner hopes it would allow for better accessibility, restrooms, shade and potentially programming outside the main park — plus whatever the community might like to see. And if voters don’t bite, that’s a message, too. “It will give us a good baseline of where we’re at with the community,” Wagner said. It would, however, likely mean a reduction of services in order to stay sustainable. Without a municipal government’s general fund to bail them out, the park can’t afford to operate close to the line. Other opportunities, like partnerships with organizations, have already been exhausted. “I came to this job because I saw that I could help a lot of people. We need this place,” Wagner said. “I don’t think it’s a crazy ask.” More information at www.crownmtn.org.